Multiply this x3, right outside my apartment, and you can see one reason why I didn’t get much sleep this last weekend. 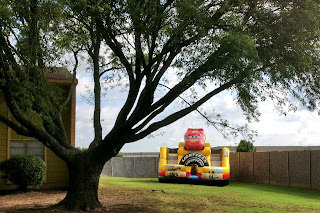 My neighbors that live above me also had a huge cookout on Sunday. They let me throw a couple of pork chops on their grill and they tossed in the roasted corn. Not bad. Not bad at all. It almost made up for the ensuing party that went on until 3 a.m. Almost. My alarm goes off at 4! If anyone asks at work, you can tell ‘em "It’s okay, she's just sleeping." @ Sandra - I am trying very hard to not get embroiled with my neighbors. For one thing, I'm outnumbered should they ever choos to retaliate. Living here is definitely an opportunity to learn how to find peace and keep my serenity while surrounded by an embattled, noisy neighborhood. Sometimes I think living in Beirut would be more peaceful! LOL. I'll get by. It was worth it to keep Nonni. Is that really little you, I like the pic. That's how I am most of the day, even when I get 7 hours. 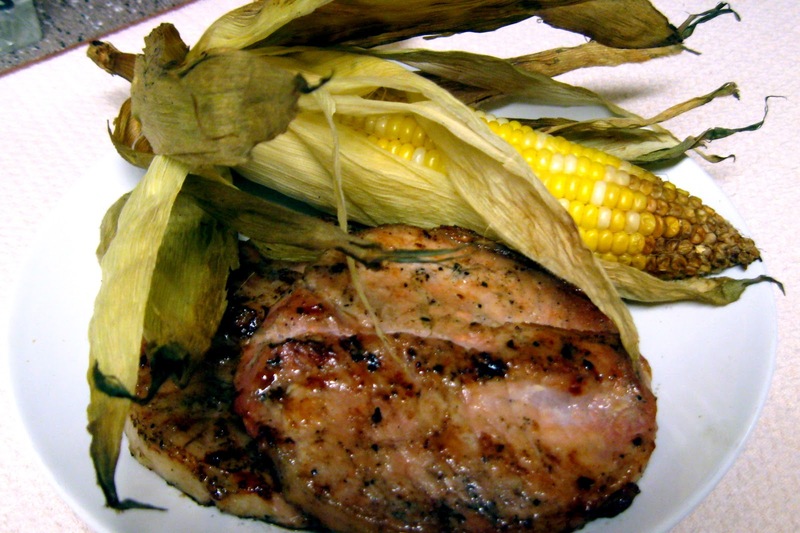 I don't get grilled pork chops very often, one of my favorites, and grilled corn too, YUM! @ Ann - to clarify... "I" did NOT join them for any of the 'partying'. Not my thing. I only got to listen to it all night. LOL. @ Ann - Sleep deprivation certainly has me feeling at times as though I could easily go ballistic but so far I prevail. :) I require peace and quiet and regeneration. My system is saying, "What the heck!" But I'm also learning a LOT of lessons in temperance and Grace... an interesting dichotomy. It's sad when you have to think about renting a hotel room to get some sleep! 6/5/12 - Gotta Go. Time's Up. 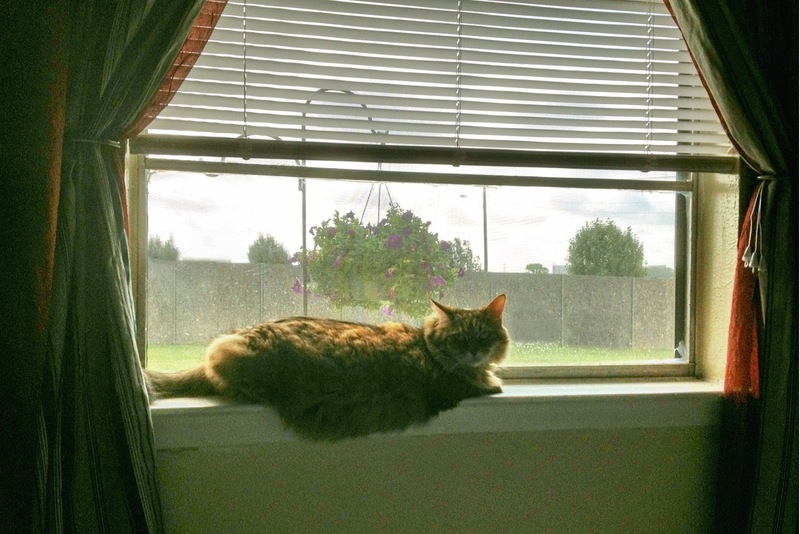 6/2/12 - Bentley is 10!